We specialize in producing great quality, full-color photo magnets and keyrings - the same ones that many wholesale souvenir vendors distribute - and we will be happy to produce your special projects, short or long run jobs, with the same care and attention to detail to achieve that quality. You can supply your original artwork, color slides, high quality color prints or digital files for us to work from but please take a few moments to sketch a simple mock-up of the image as it should appear in the finished design to show us where you want cropping, placement of your title (if any) and any other specific elements of the design you want us to reproduce. Your mock-up needs only to be a simple pencil outline of the image along with some notes of instruction in the margin areas. Mock-ups are not necessary for jobs furnished with press ready digital files but a good color print-out of the image is recommended to assure color matching between your system and ours. Press-ready digital files in formats such as Photoshop, TIF or JPG (JPGs should be high quality - low compression) are all accepted for printing and allow you to create the design exactly as you want it. 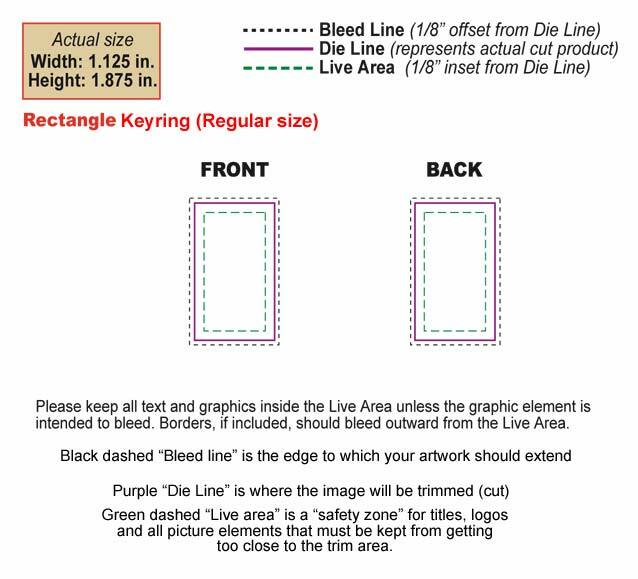 Files should be saved at 300 - 400 pixels per inch and the image should include a bleed area that gets trimmed off at the edges as specified for each item below.  Please supply Photoshop, TIF or JPG image files at 300 - 400 pixels per inch. 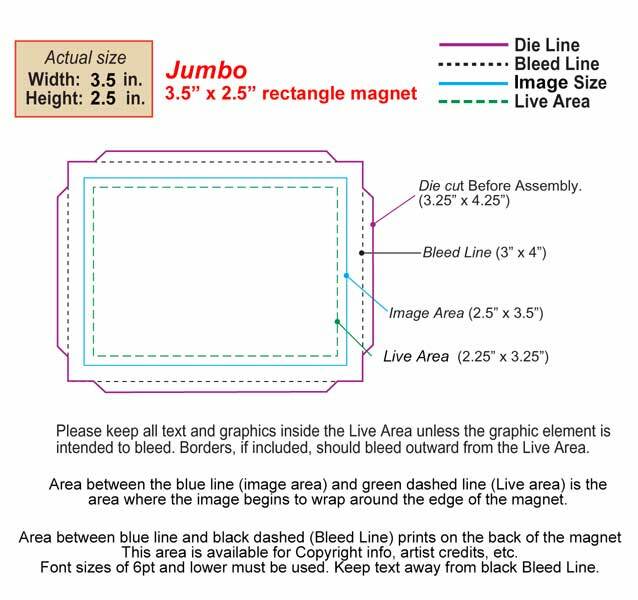  Actual size of image to edge of magnet: 3" x 2"
 The "Live" area is an important area for Titles, Logos, Graphic elements or any other part of the design that must be prevented from getting too close to the trimmed edge in order to avoid giving a mis-cut or off-center look due to minor registration irregularities that can occur during assembly.  Artwork (Usually a background color) should bleed to bleed line: 4" x 3"
Click here for Photoshop working layout (2.5 MB) If this file loads to your browser window, drag or save it to your desktop for a usable photoshop file with mutiple lay-out layers. 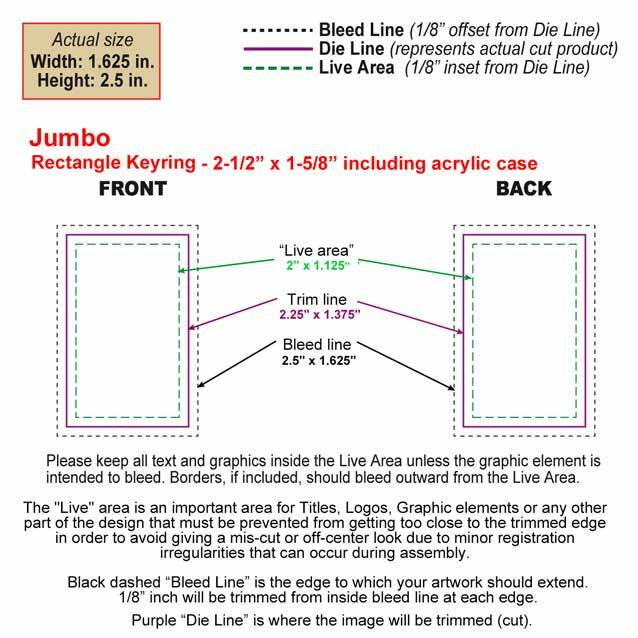 SPECIAL CONSIDERATIONS - We do not recommend using outline borders near the outside edge of your design since they can increase the appearance of small registration irregularities in positioning that can occur during the assembly process. COLOR Due to variations in color monitors and their rendering capabilities, it is useful to include a color printout that accurately shows the color you expect to achieve from your files for us to match. ARTWORK FILES Each job (each design) should be organized in a single individual folder and each complete batch of jobs should be written (burned) to a new disk by themselves. To help prevent mistakes, each file should be named appropriately to match the description of your job. If you must send a disk with other mixed files on it (files that won't be used in you job) please be sure to keep them SEPARATE from all job files and make a list on paper of all job files by their EXACT NAME including file type suffixes such as JPG, TIF, EPS, etc. and describe where they are to be found on your disk such as which folder they reside in. We cannot be responsible for errors made due to files not identified properly. The best way to avoid errors is to make a new disk containing only the current job(s) files or by organizing all job files into one folder which is clearly marked by the job name, description or number. Additional charges will occur for changes needed to correct job errors due to files which were not clearly identified and/or organized. You may send your files to us on CD, DVD or by e-mail as attachments. PROOFS - You will receive a proof by emai before your job is produced. QUANTITIES / COST - Minimum order quantity for custom Magnets and Keyrings is 500 of each design ordered. A one-time set up fee of $30.00 applies to each new order and does not apply to exact re-order jobs. and does not apply on exact re-order jobs. SHIPPING - We will be happy to quote shipping charges for your job in advance. Standard shipping method is UPS ground service which all shipping quotes are based on unless another shipping method is requested. We can also bill shipping to your UPS account - please provide your UPS account information with your order. 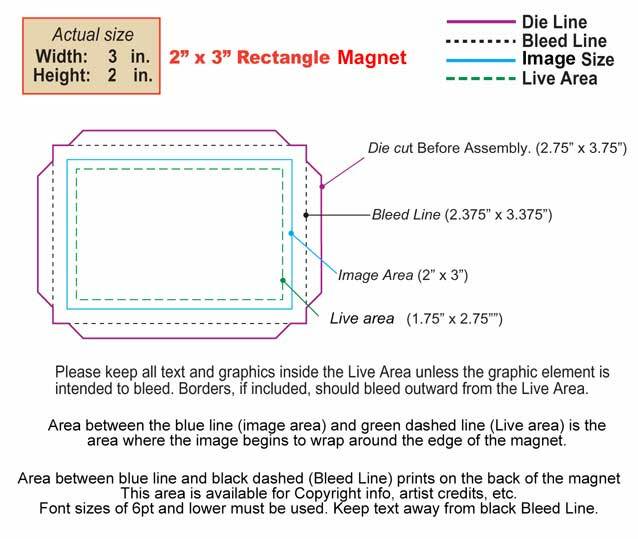 Magnet and Keyring orders require pre-payment before production begins. We accept VISA, Mastercard, AMEX, PayPal payments and checks. Magnet and Keyring samples are available by mail. Please send $5.00 (refundable when you place your order) to the address below. You can order samples by e-mail and pay with credit card using our E-mail Order Form Please specify whether you want Magnet or Keyring sample. You can pay for your order by check or credit card - For credit card payments please use our web order form by clicking on the link below. Click the logo below to go to PayPal.com. When submitting payment to us for your order through PayPal you must list the recipient e-mail account as: Payments@ArgonautPress.com .